If you or a loved one suffers from snoring, you may not be getting the good night’s sleep you deserve. Snoring occurs when the muscles inside of the throat relax and fall on themselves, but it can also occur due to weight gain, alcohol consumption, various medications, allergies, and more. At Charlotte Progressive Dentistry, we offer a non-invasive oral appliance to help eliminate snoring. Schedule an appointment with our team today. Get A Comfortable Night’s Sleep By Scheduling A Dental Appointment Today. Snoring is a very common problem across America, and many people who snore have obstructive sleep apnea, a condition in which a person stops breathing repeatedly during sleep. When you visit Charlotte Progressive Dentistry for snoring prevention treatment, our staff will discuss your specific needs before determining the best solution for you. Our dental team combats snoring by offering our dental clients a non-invasive mouthpiece that they can wear at night that can actually maximize airflow. If you’re interested in learning more, call our team today. Snoring is a common problem experienced by many people. In fact, it is reported that over 80 million Americans snore. At worst, snoring can occur in conjunction with obstructive sleep apnea, a condition that negatively impacts overall health. At best, it is an annoyance that impacts the sleep of the snorer, and anyone within hearing range. The dentists at Charlotte Progressive Dentistry combat snoring with non-surgical treatment to give everyone a good nights sleep! Snoring occurs when the muscles and soft tissues of the throat relax and fall in on themselves, blocking the airway. The tongue may fall back in the mouth and obstruct airflow, as well. Air forcing its way through narrowed passageways causes tissues to vibrate and make the sound we call snoring. Excess body weight, alcohol consumption, sleep medications, sinus problems, and allergies can also contribute to snoring. How do Dr. Greg Camp and Dr. Susana Junco treat snoring? Your Charlotte dentist offers non-invasive oral appliance therapy to eliminate snoring. 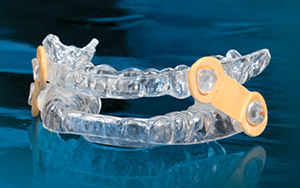 A small, comfortable mouthpiece worn at night holds the jaw slightly forward to maximize airflow. 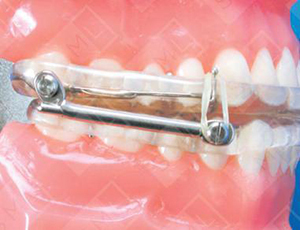 Some oral appliances lift the soft palate and/or prevent the tongue from blocking your airway. At your snoring prevention consultation, in our Charlotte office, Drs. Camp and Junco will discuss your specific needs and determine the optimal solution to address your snoring issues. Are You Ready To Schedule Your Consult Today? Non-invasive oral appliance therapy from Dr. Greg Camp and Dr. Susana Junco can result in restorative slumber for you – and those around you!